This blog post is one of a number I will be writing in order to entice you to follow in my footsteps around Melbourne. My great great grandfather William Baker Tyzack, his wife and four children landed at Port Melbourne in 1866. He remained within Melbourne suburbs for the rest of his life until he died in 1889. You may, like I have, find it interesting to walk in those suburbs and along the streets in which he lived. Using your imagination and because he was always near where trams or trains ran, perhaps you will be able to conjure up the way his lifestyle might have been. Within a few years of William’s arrival, the Sands and McDougall directories show he was living in the suburb of Carlton. He lived there in three different streets. 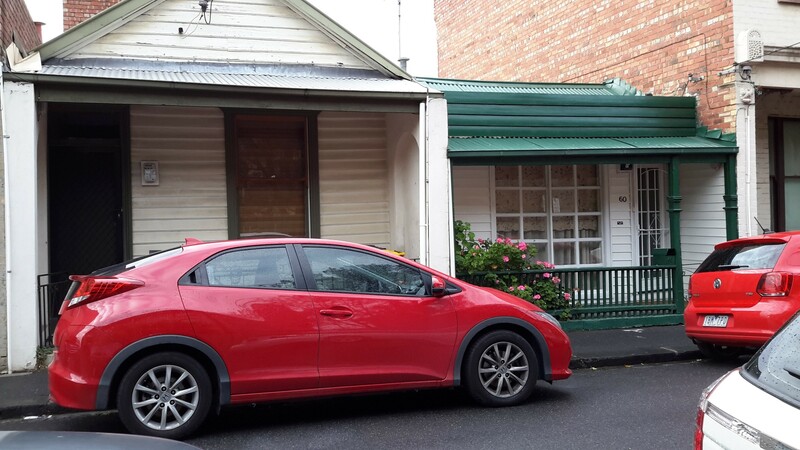 In the recently published book William Baker Tyzack and descendants in Australia, Bruce Tyzack’s research found that in 1869 the family was living at 57 Faraday Street in Carlton, in a dwelling located on the north side of the street between Lygon and Drummond Street. 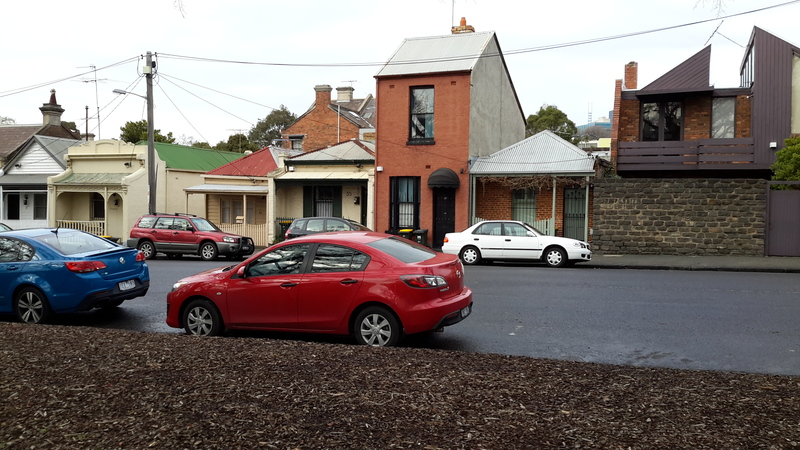 In 1870 they moved to Dorrit Street and in 1871 to McArthur Place South. All addresses are located within a short distance of each other which makes for his comparatively easy relocation and for our easy walking. Earlier this year I took a tram from the city then walked these streets, even knowing that their specific houses was no longer in existence. Nevertheless a casual walk gave me a feel of the way his accommodation was close to the city centre, and close to the then expanding community around Carlton. 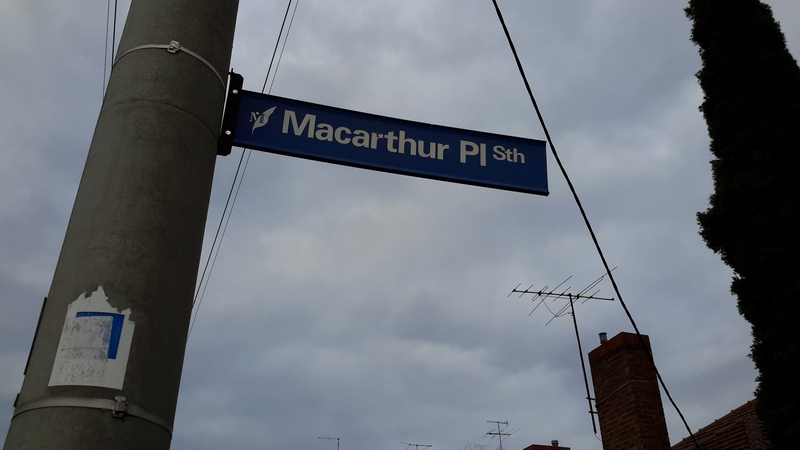 Bruce’s research indicates that the house numbers given in the street directories in the 1860s and 1870s have been changed last century, so during a walk you cannot rely on the historical numbers marking where his house was. Nevertheless you can walk those streets, look for the oldest building and then imagine a residence that is a little more basic, and feel like you can understand a little of what William was housed in. The photos below approximate the locations of his houses. 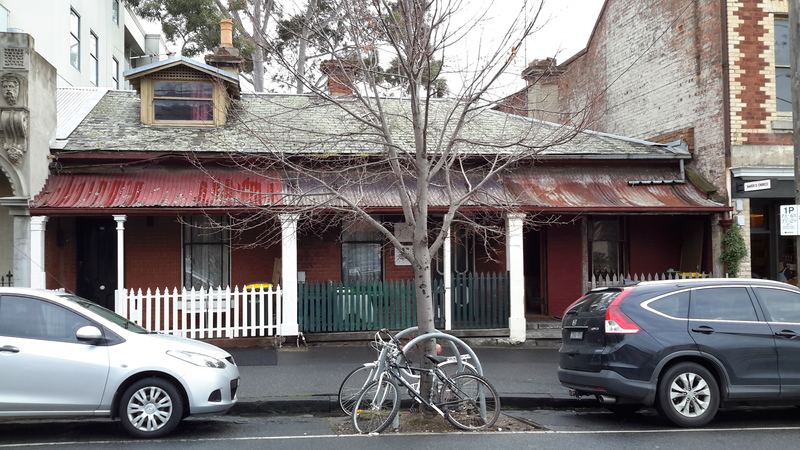 Once I had walked the streets in Carlton, I trammed back to the city ready to travel to another suburb where William lived; the suburb of Hawthorn.